Remember help is always available at school if you are having any problems online. Don’t be afraid to talk to your teacher or another adult at school. Here at Manorfield Primary and Nursery School, we aim to support our parents by improving their own understanding of e-safety issues so they can learn to support their children as they use the internet and all digital media in a safe and secure way. Remember - help is always available at school if you are having any problems or questions about e-safety. Do not be afraid to come and ask: there is no such thing as a silly question. Do you take an interest in your child’s online activity? Taking an interest helps you to understand the websites, apps and games children are using and to make sure they are appropriate. Can you work with your child as a TEAM? Talk – chat to your child about what they’re doing online. Explore - and understand the websites, apps and games. Agree – Devise and create family ground rules. Manage – Adapt privacy settings and use adult controls. Can you have regular open and honest conversations with your child? If things go wrong or mistakes happen, how will you support/reassure your child? Do you use all parental controls available to you? Have you supported your child with their privacy settings? Have you thought about how spend-limits and time-settings can be used to control your child’s online experience? What Technology is your Child using? The digital world is ever-changing. New apps, games, websites become popular whilst other apps, games and websites are left behind. Do you know what your child is accessing? Do you understand how that app, game, website works? Do not be afraid to ask! Below is a brilliant link which gives information about many of the latest/popular apps, games and websites which children are accessing. Thinking about getting your child a mobile phone? Or possibly a new electronic device? Be sure to check out the following website at InternetMatters for more information about safety, parental controls, risks for different devices from an Internet Safety perspective. CEOP Report Abuse Link is vital to report information of abuse to minors. 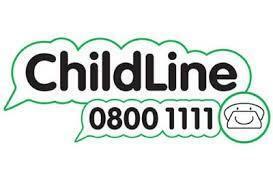 Childline is a charity for children who need some help, confidentially. 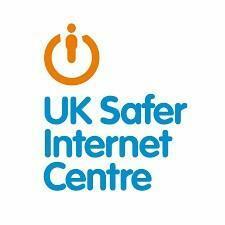 Saferinternet.org has a fantastic helpline offering guidance and support. Some of the filters for family broadband/television are now activated by default but others will require families to activate themselves. Please get in touch with your own Internet Service Provider – for more information from some ISP's please read below.